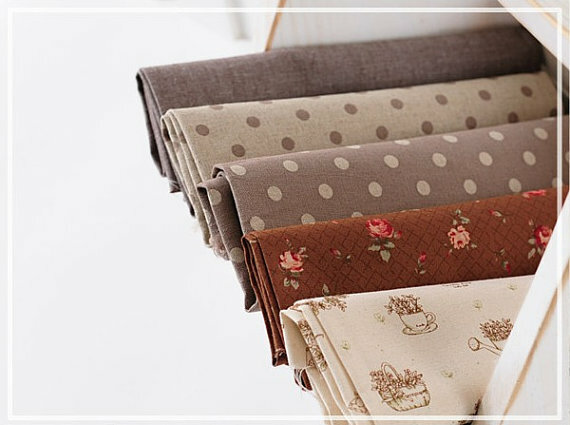 Fabric bundle by fabrictofabric on etsy. Mixing prints and patterns in fashion and home decor is quite a skill. It requires a deliberate plan and a good eye to pull off the look. Too little and it's a nonstatement. Too much and you are ready for a turn under the Big Top. I have been working on incorporating more pattern into my wardrobe and have picked up a few hints from people who possess the look that I am trying to achieve. The easiest way to get started is to choose a color. Color will be your unifying factor. Choose 2 or more prints that feature your color of choice and see how they complement one another. A great example of this technique is this fun little purse by etsy seller RoseThreads. Amy has used bright orange to marry 2 bold floral prints and achieve mixed pattern success. Even electric orange can be a unifying color. The second key to mixed pattern success is varying the print sizes. Do you have a bold stripe? Try paring it with a floral that is more delicate in design. 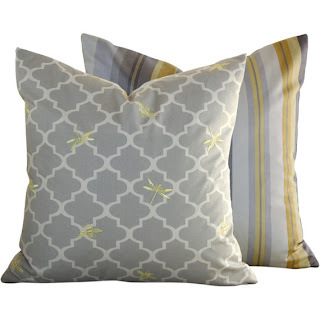 These pillows by ChloeAndOliveDotCom provide an excellent example. Sisters Chloe and Olive use their combined experience in graphic and interior design to create home decor with fashion sense. Bold stripe and graphic print with delicate detail, definite success. Varied print sizes will make it work. There are a few more guidelines to make sure that your fashion attempt doesn't fall flat. Be careful of the amount of fabric in your ensemble. A flowing skirt is great but pair it with a fitted top. Ruffled blouse with big sleeves? Try skinny pants or a pencil skirt. Your new look is bold. You don't want to look like a theme. Love animal prints? Great. Stick to one at a time. Orange, black and bold will resemble Halloween. Red white and blue? Maybe for Fleet Week. Accessorize with care. try a scarf, hat or belt within your chosen color or in direct contrast to it. Keep your jewelry subtle. No big chunky necklaces here. Try a few bangle bracelets and a pair of drop earrings in antiqued silver or copper to complement your boho chic look. TheWhistlingGypsy has it all together in this ensemble that features an upcycled miniskirt of her own design. 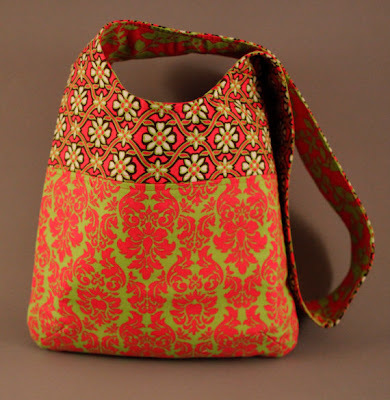 TheWhistlingGypsy has achieved mixed pattern success, you can too. Look through your closet and drawers. Is there a particular color that you have a lot of? Lay those items next to one another on the bed. (Kick the cat out of your room first) Put away the solids. Bold pattern? Find one that is less so. Like the combination? Good. One more thing. You are making a statement here. Don't let the clothes wear you. Own the look. Love this blog. I agree...have fun with patterns and play with it. Thanks I have had to remake my entire wardrobe in the last few months due to a job change and significant weight loss. Having a great time putting things together.